I'm rather surprised to escape Smudger's acid wit in today's Thanet Gazette but instead, I see she's gone for a much taller and younger victim, young 'Dave,' of Dane Valley, in a none too subtle and unkind reference, linking Dom Perignon Champagne and caviar to 'The plonk in the Mayor's parlour'. While I don't believe the gentle art of satire comes easily to her, she also mentions in passing, that the Charter Trustees have received a 'slap on the wrist' from the district auditor and page two coverage is given to the prospect of a Town Council for Margate. And then there's Cllr Worrow! Lots of him. 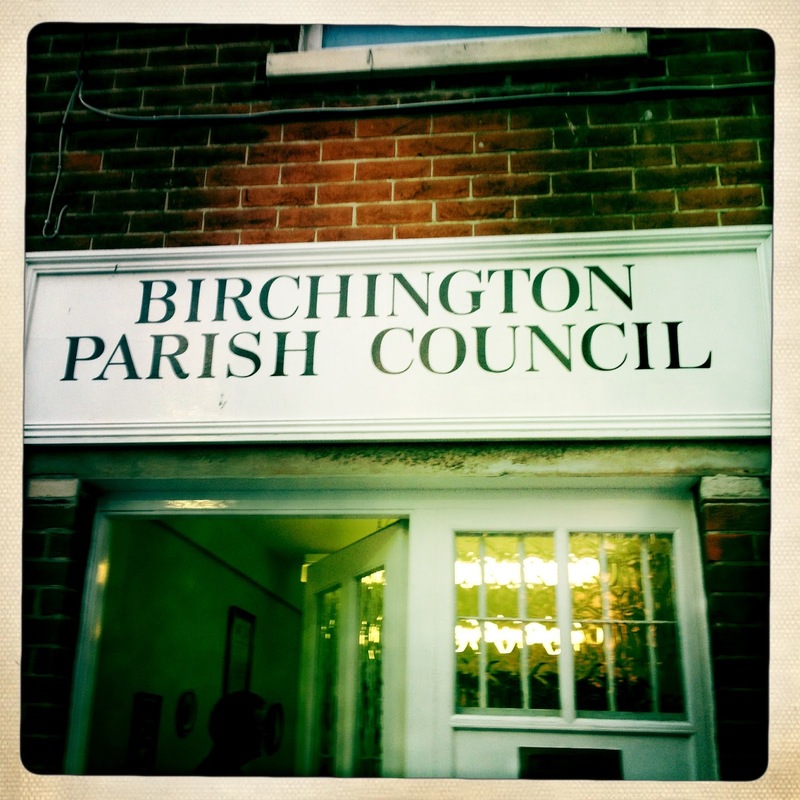 You've letters to the paper, begging the publicity-hungry Birchington-based diversity champion, to reconsider his very public decision to resign and letters demanding quite the opposite. There's coverage of his resignation announcement and even the lovable 'fluffy Jane', in her weekly column, spares the time to devote a quarter of a page to the Worrow vs Gregory aids debate, which continues to fascinate and distract from the real and often dysfunctional business of running our local council. Remaining with the subject of TDC for a little longer, I see that Cllr Worrow has submitted no less than three 'notices of motion' for next week's full Council meeting. Two of these are linked directly to his on-going personal grievances against one councillor or another and the third, is asking the Council to require the new Police Commissioner, Ann Barnes to attend a Scrutiny Committee meeting. This, without apparently realising, that much like the gay marriage debate of last year, it has nothing to do with the remit of Thanet District Council but no doubt, will provide yet one more soap box extravaganza, where we will hear further inflammatory and emotional remarks on the now very tired-looking subject of homophobia. As a ward councillor who has already dealt with two requests for assistance this morning; one of these involving concern for a vulnerable elderly person, living on her own, I have to ask what one earth are we coming to when important council meetings become a children's playground for personal issues and vendettas. These too frequently now have no relation to the job that the usual suspects were voted in to do! 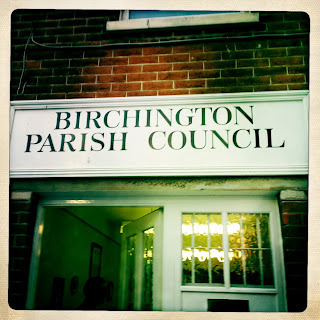 Readers may be surprised to know that while I was shamed, flogged and censured this week and informed that my writing this weblog today, breaches paragraph 3.2 of the Council's code: "You must not conduct yourself in a manner which could reasonably be regarded as bringing your office or Authority into disrepute," another Birchington Councillor, who may hold the record for standards complaints and who has refused to apologise for his behaviour, has not been censured at all. This now leads a number of councillors on all sides, to believe that our standards system governing personal conduct is in urgent need of review. Finally, I'm blogging in a personal capacity regardless of paragraph 3:2 and expect a visit from the diversity enforcement squad anytime soon! Worrow demanding Ann Barns attendance is nothing less than a desperate attempt to ingratiate himself with Driver again. Pathetic individual. The trouble with Worrow is that he doesn't know which way to turn. The Diversity Squad to call. Don't argue with that Ashley Banjo, not only is he an inspirational individual and a physicist, he is built like a brick outbuilding. IMO Ann Barnes own record on Standards cttees (when Chair of Police Authority) wouldn't inspire too much confidence. But she does set an example of not taking umbrage at online mention. I refer of course to the Carroll Trust matter. Even when Messrs Putin and Obama are among those demanding answers. Ann keeps schtum. Far more serious than your little bit of bother is Smudger's latest revelation on Ted Watt-Ruffell, strange you forgot to mention that. I hadn't realised he was still a Councillor! The TWR saga is very sad. As a consequence of a vigorous RSPCA prosecution of a high profile figure, he lost everything. I for one doubted he would ever be in a position again to repay hs Mayoral allowance and this appears to the case. Perhaps its time to move on and learn from the experience. Re Council Code Para. 3.2. Who defines reasonable? And can we have no more TLAs. Good question.. Ask Captain Darling as he makes the rules! Perhaps they too have woken up to the fact that you thrive on the oxygen of publicity and want to cut off the supply. Good call on their part. Perhaps it will succeed in bringing your sordid smearing tactics and behaviour to an end - though I doubt it when you have such a loyal band of cronies (real or fictitious) to weigh in with supportive guffaws. 9.23 Should be addressing their comment to councillors who spend their time NOT doing what they were elected for but still take the money. Come and live in Westgate where Simon is one of the few councillors who answers his emails and calls from the people he represents and gets on with the job of helping like he did for my family. I wonder what you do for anyone apart from yourself. It doesn't matter what party someone is from if they do the job well though I don't expect you to understand that. You will only comment with hate.